In this article I’m looking into the increase in competition for patients. I’ll take a look at how we got here and what you can do to ensure you’re deriving maximum value from this important asset and ensure you stay ahead of the game. I must admit I’ve been really excited to write this article as I believe it’s going to add value to you; the practices owners, managers, staff and healthcare consultants out there working day-in day-out…the long-term thinkers; my kind of people. Over the past few years I’ve observed a steady increase in competition for patients; right now I’d say it’s at an all-time high. No longer can you rely on the old adage; If you build it they will come! A marketing campaign that revolves around a listing in the Yellow Pages might as well sign off on their demise. We surveyed 134 of our GP clinic clients and 64% indicated they had noticed a decrease in patient attendances compared to the previous year. This has led to 59% of our survey respondents showing a decrease in year-on-year revenue. Patients are your asset! Over the last 12 months we saw 89 new medical centresopen in Victoria alone, up 16% from the previous and up 23% the year before that. What’s more, we’ve seen steady growth of 812 international medical graduates enter the system post moratoriums and an influx of home grown medical students complete their internships/registrar-ships. From all accounts these numbers aren’t going to stop anytime soon with Monash & Melbourne universities continuing their increased intake for medical students (information provided by AMA Victoria). Bottom line here is your patients have more choice than ever! At another level, we’ve also seen a strong increase in corporate activity, picking up medical clinics like they’re going out of fashion (to what end I ask?) where costs are stripped & management are told what to do and when to do it. This is in spite of a backdrop where the Federal Government has continued its Medicare freeze, causing clinics to go backwards (see inflation) at the same time as dealing with decreasing patient numbers. Feeling unsettled yet? Don’t be! Can you still beat all this? Heck yes! I’ve broken my points down into 3 key areas. I must stress this is my own personal opinion here, if you want to sue me for misleading advice, please stop reading here. I should really say ‘Be found by the best…’ I use the word ‘best’ because they are the ones who will start a family and bring their kids to you, tell their friends about you, move across the city but still travel to see you. These patients are an asset. Healthcare, like any unique industry has very particular marketing strategies. People only need you when they’re sick! So how do you make your clinic top of mind when that time comes around? These form part of your IP. 85% of people will search for you online, make sure you have your own website that means today’s modern standards. Create trust by allowing your patents to navigate around your own website. The average person has 7 healthcare Apps on their smart phone. Make your practice standout and give your patients easy 1-click access to your clinic by having your own App. Make sure you have someone internally that can navigate all the B.S that’s out there. Such examples include trying to be something you’re not (know who you are first! ), avoid the hype and use technology you know your patients will embrace, using an agency who knows nothing about our industry and doesn’t understand your endgame. Create your own content and share it with the world. Is there someone in your clinic who has a passion for writing, collaborating or sharing? Use them! Get them to create content, research articles to share or simply post relevant health related information online. It is so rare in our industry to see inside knowledge shared by professionals who know what they’re taking about but don’t share this knowledge. Sharing is NOT giving intellectual property, quite the opposite. It’s showing the world you know what you’re talking about, that you are the central place to go for good, well research and informed medical knowledge. Patients will be drawn to your practice because you care, because you seem to know what you’re talking about! This comes back to my earlier point, if you’re not seen, you’re not thought of. There will always be someone louder or with deeper pockets that attracts patients. Make sure you’re in the mix and get your business out there and in front of people 24/7 without having to spend a lot of money! Tell everyone how good you are, how good your doctors are, your staff and your management are! If you have specific medical skills, such as women’s health, geriatric specialisations, mental health, make sure you use this to your absolute advantage and market these specific skills. Do not use an aggregation website as your sole marketing strategy. An aggregation website brings together all clinics in one single website with a goal to direct web traffic to their website. There may be an appropriate time and place for it but understand there is absolutely no long-term value creation whatsoever. As we have seen in recently media findings, they will sell your patients data and promote the clinic down the road for a dollar. Despite what you might think, their business model is working against you, not for you. Your patients will eventually navigate their way around the site (or even worse prompted to) and find another clinic that might be in closer proximity, have better appointment availability or simply just pay more money to the aggregation site to appear higher in a search rank…all of which goes completely against continuity of care and value creation for your business. What started as an asset is now gone. I encourage you to calculate how many activepatients you have on your books against how many totalpatients you have in your database. I would consider an active patient, someone who’s visited the clinic within the last 12 months. Your PMS can easily pull this info out. Keep track of this stat as it will guide you as to how well or otherwise you’re retaining patients. This is by far and away the best way to share articles or thoughts through the abovementioned platforms. If you’re not into creating content however, the internet is a great place to research and find articles to share or seasonal message to post. Entrench your values to patients through your content creation and consequent sharing. Tell patients why coming back is important to them. And most importantly why they should choose you. Feedback forms are a great way to obtain vital information as to what you’re doing well and what you’re doing poorly. Make sure you’re regularly asking patients to provide feedback, it’s better than an out-of-the-blue negative Google review that is next to impossible to remove! No longer it is offensive to talk about and plan a strategy around increasing ROI on your asset, patients. Your healthcare practice is a commercial entity and should be treated as such. It’s good practice and it’s good business. I’m referring to preventative medicine, health care plans, clinic recalls & reminders. All these items are good for the health of the population & continuity of care, but it turns out they’re good for the bottom line as well. Work out is your clinics average revenue per consultation. Plan out how to increase billing per consult. Keeping Medicare guidelines at the front of your mind. Investigate if any doctors aren’t in line with your clinics benchmarks and find some examples where they could improve. Discuss the strategy with all doctors at your clinic. Use an automated clinical reminder system. These systems are more efficient and transparent than any manual method available today. Not only will these platforms improve efficiency but they’ve shown to increase the level of recalled patients for preventative care. Make sure you’re doing the right thing by your patients. Don’t give them away so easily and allow them the choice of other clinics, they’re too valuable. Adding simple tools and strategies can greatly enhance your patients experience and interaction with your clinic, thus making them stickier and long terms assets to your business. Adding value to your patients has been demonstrated to add to your bottom line and ultimately to the value of your true asset, your patient. Disclaimer: this article does not take into consideration, nor does it claim to have any influence over the clinical expertise or level of care given to patients. Whilst this is an important factor on the scheme of things, I am not looking at this aspect to find, retain or improve ROI. I am the owner and founder of Healthsite; a digital business dedicated to the healthcare industry. I am passionate about all things medical. I started my journey in the healthcare industry 15 years ago working at the reception desk of a clinic that was managed by my families’ business. I was lucky enough to be promoted to practice manager, practice acquisition manager and ultimately sitting on the board of that very company. I started my own business along with my wife Missy, Healthsite in 2009 building online and digital products that meet the needs and requirements of today’s busy, pressure filled medical clinics. I am passionate about all things medical. Personal, I am a father of 3, love all sports, travelling, food & wine. 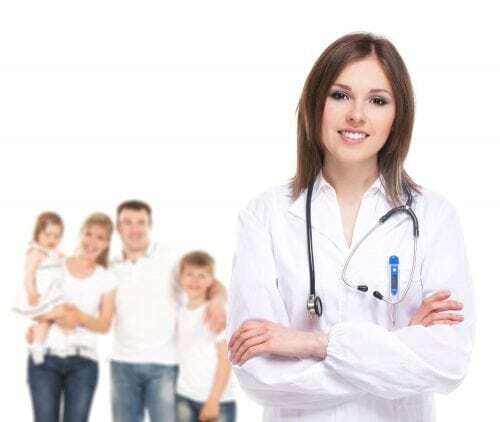 Are you looking for a trusted Online Medical Appointment Provider?